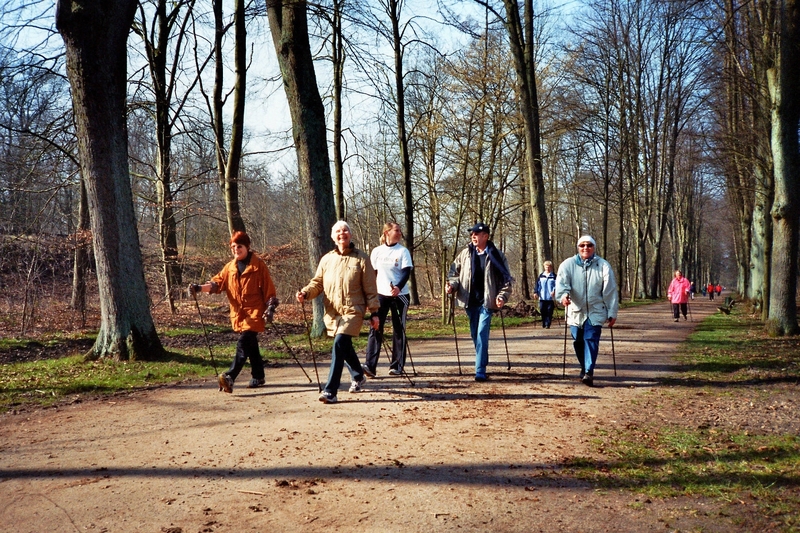 Physical fitness is assumed to preserve cognitive functioning and psychological well-being in older adults. More and more animal and human studies stress the importance of a physically active lifestyle for successful aging (e.g., delayed cognitive decline, improved physiological and psychological health, etc.). However, the mechanisms, the dose-response relationship, and also the effects of different types of exercise are not well understood. This second area of research, which follows an interdisciplinary view on human performance that comprises motor, neurophysiological and psychological expertise and methods, deals with the role of aerobic and non-aerobic motor exercise on cognitive performance and well-being across the lifespan. In a one-year longitudinal study, we investigated the effects of different types of physical activity on cognitive performance and well-being in older adults. 116 older men and women (61-79 years; M = 68.74; SD= 3.50) participated in our study. All participants were recruited from a member register of the German health insurance company DAK and were randomly assigned to one of three intervention groups (endurance training, strength training, or relaxation and stretching). Training groups met three times a week for 12 months. Before the start of the training program, every three months during the intervention, as well as 12 months after its conclusion, the participants spent two days in the lab for extended testing of cognitive and motor abilities, emotion regulation, and subjective well-being. In addition, participants were examined with functional MRI in the beginning, in the middle, and at the end of the intervention study, in order to visualize changes in brain processes during performance of cognitive, motor, and emotional tasks. This interdisciplinary project combining human performance, neuroscience and lifespan psychology has been funded by the Bosch Foundation and the DAK. Godde B, Voelcker-Rehage C (2017) Cognitive resources necessary for motor control in older adults are reduced by walking and coordination training. Front Human Neurosci, in press. doi: 10.3389/fnhum.2017.00156. Voelcker-Rehage C, Niemann C, Hübner L, Godde B, Winneke AH (2016) Benefits of Physical Activity and Fitness for Lifelong Cognitive and Motor Development - Brain and Behavior. In: Raab M, Wylleman P, Seiler R, Elbe AM, Hatzigeorgiadis A (Eds.) Sport and Exercise Psychology Research: From Theory to Practice, Elsevier. Voelcker-Rehage C, Niemann C, Godde B. (2016) The Chronic Exercise-Cognition Interaction in the Elderly. In: Exercise-Cognition Interaction, McMorris T (Ed), Academic Press. Niemann C, Godde B, Voelcker-Rehage C (2016) Senior dance experience, cognitive performance and brain volume in older women. Neural Plasticity, Volume 2016, Article ID 9837321; DOI: 10.1155/2016/9837321. Voelcker-Rehage C, Jeltsch A, Godde B, Becker S, Staudinger UM (2015) COMT gene polymorphisms, cognitive performance, and physical fitness in older adults. Psychology of Sport & Exercise, 20, 20-28. Niemann, C., Godde, B., Voelcker-Rehage, C. (2014) Not only cardiovascular, but also coordinative exercise increases hippocampal volume in older adults. Frontiers in Aging Neuroscience, 6, 170. doi: 10.3389/fnagi.2014.00170. Voelcker-Rehage C, Godde B, Staudinger UM. (2011) Cardiovascular and coordination training differentially improve cognitive performance and neural processing in older adults. Front. Hum. Neurosci. 5:26. doi: 10.3389/fnhum.2011.00026. Voelcker-Rehage C, Godde B, Staudinger UM (2010). 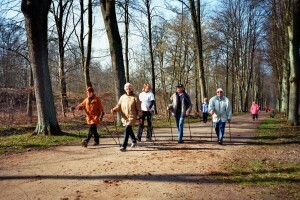 Cardiovascular and Motor Fitness are Both Related to Cognition in Old Age. European Journal of Neuroscience 31(1):167-176.